At the beginning of the 20th century, a wealthy Scot tried to create a utopian society, of all races and religions, and conquer the area known as the Sundarbans. When a small ship arrives to conduct an ecological survey of this environment, the scientists on board begin to trace the journeys of the descendants of this society. The new novel from the author of The Glass Palace, the widely-acclaimed bestseller. 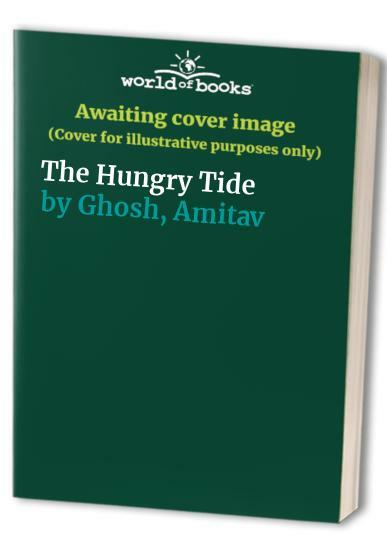 The Hungry Tide is a rich, exotic saga set in Calcutta and in the vast archipelago of islands in the Bay of Bengal. An Indian myth says that when the river Ganges first descended from the heavens, the force of the cascade was so great that the earth would have been destroyed if it had not been for the god Shiva, who tamed the torrent by catching it in his dreadlocks. It is only when the Ganges approaches the Bay of Bengal that it frees itself and separates into thousands of wandering strands. The result is the Sundarbans, an immense stretch of mangrove forest, a half-drowned land where the waters of the Himalayas merge with the incoming tides of the sea. It is this vast archipelago of islands that provides the setting for Amitav Ghosh's new novel. In the Sundarbans the tides reach more than 100 miles inland and every day thousands of hectares of forest disappear only to re-emerge hours later. Dense as the mangrove forests are, from a human point of view it is only a little less barren than a desert. There is a terrible, vengeful beauty here, a place teeming with crocodiles, snakes, sharks and man-eating tigers. This is the only place on earth where man is more often prey than predator. And it is into this terrain that an eccentric, wealthy Scotsman named Daniel Hamilton tried to create a utopian society, of all races and religions, and conquer the might of the Sundarbans. In January 2001, a small ship arrives to conduct an ecological survey of this vast but little-known environment, and the scientists on board begin to trace the journeys of the descendants of this society.